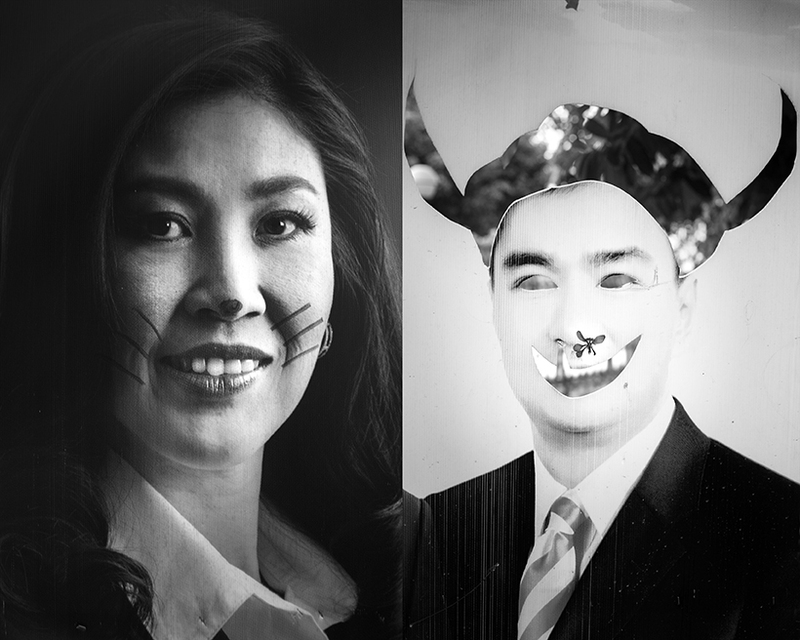 These images are taken of graffiti-stricken election posters found along the streets of Bangkok. 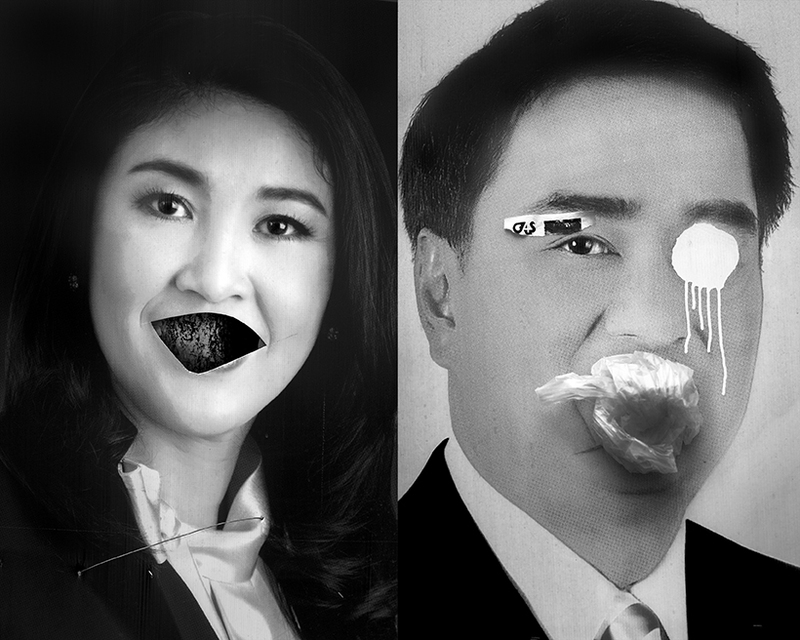 The promotional posters showed the intense frustration between opposing supporters of Yingluck Shinawatra’s Pheu Thai Party and Abhisit Vejjajiva’s Democrat party during the 2011 election. 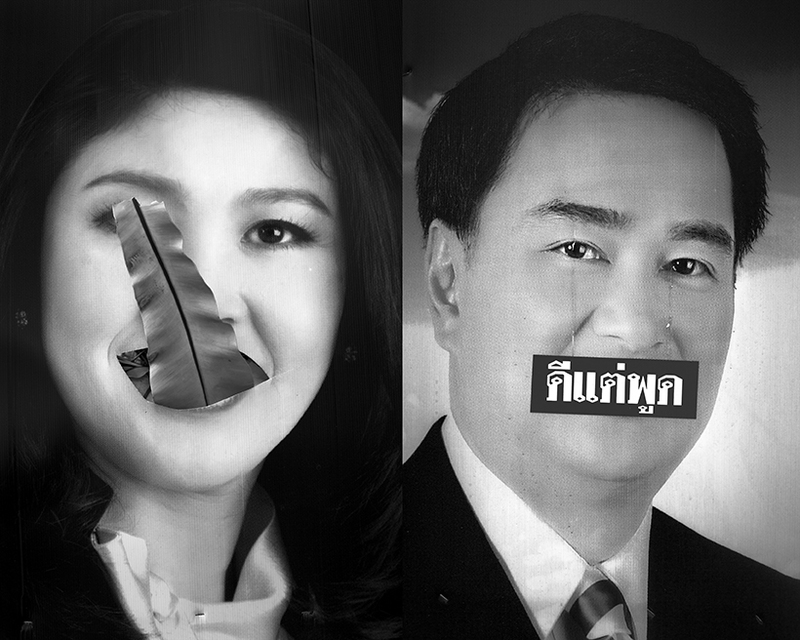 The series forms part of a wider collection concerning Thai politics, stemming from the 2006 Yellow Shirt movement against the former Prime Minister Thaksin Shinawatra. 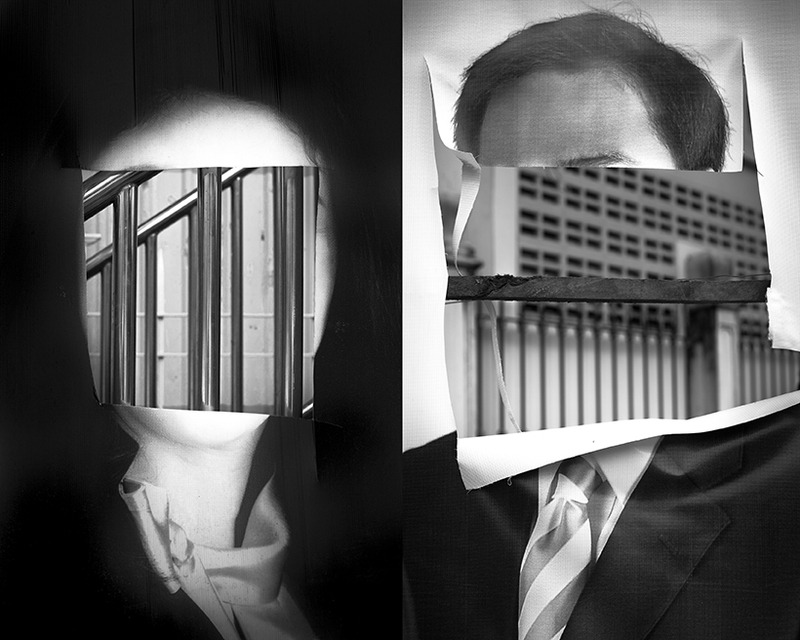 Miti Ruangkritya [Thailand, b.1981] has received a ‘Selected Winners’ and an ‘Honourable Mention’ award for Magenta Flash Forward – Emerging Photographers (UK) in 2011 & 2012. He has participated at the Angkor workshop with Antoine D’Agata whom he has also assisted in Pattaya. His portfolio has been featured in British Journal of Photography, De L’air and 500 Photographers blog. He has held a solo exhibition at Kathmandu Gallery, Bangkok and ICI, Venice. His work has been exhibited in festivals including Arles, Noorderlitch and Singapore Photo Festival. He has held a solo exhibition at 2902 in Singapore and is currently one of the featured emerging artists at Bangkok University Gallery, 2014. In 2014, his book has been selected amongst the most interesting Photo books of 2013 via Emaho Magazine.